The Anti Milk Residues Fast Flow Breast Pump offers you maximum safety during the delicate period of breast-feeding. It is ideal for extracting the residual milk that the baby has not sucked during breast-feeding and that must be eliminated, or for emptying the breast in case of milk residues. Leaving excess breast milk without extracting it can cause lumps and other problems. This Chicco Anti Milk Residues Fast Flow Breast Pump - Manual has been designed to ensure that all the residual milk is extracted, thus stimulating lactation. Extracts residual milk: This breast pump helps extract residual milk, thus stimulating lactation and prevents the formation of lumps. 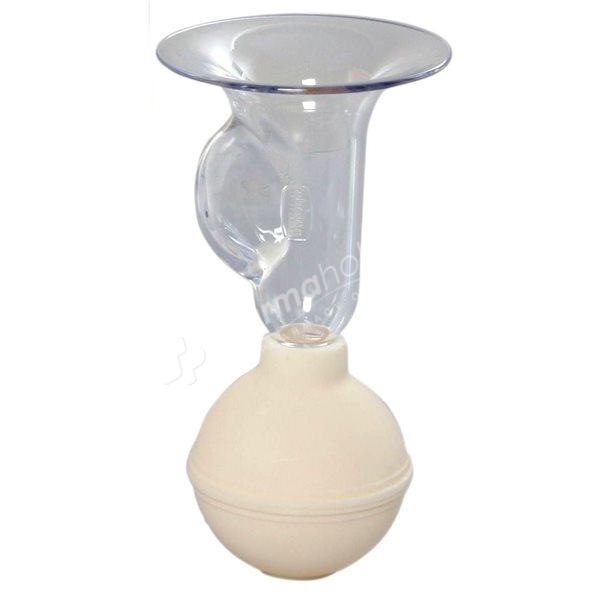 Anatomical breast cup: The anatomical breast cup makes the pump user-friendly and at the same time speeds up the process of expressing milk. Easy and quick to use: As this breast pump is easy and quick to use, you won’t be spending much time on assembling it. Soft silicone rubber membrane: For your comfort and to stimulate the mammary glands, this breast pump has been provided with a soft silicone rubber membrane.